Successful franchise owners attract, manage, lead and motivate teams of sub-contractor crews who wield the brushes and deliver the quality service this painters brand in known for. THE OWNER MANAGES THE BUSINESS, SUB-CONTRACTORS DO THE WORK. Existing franchisees are expatriates from the corporate world who are capitalizing on their management background and leadership skills to carve out their niche in a booming, yet underserved and fragmented industry. We are a Professional exterior/interior painting franchise that focuses on quality, service and value in a fragmented industry dominated by unreliable independents. 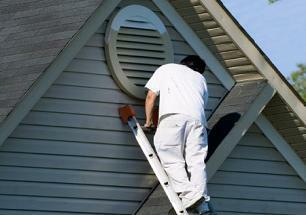 Franchisee will own and manage the business; sub-contractor painting crews will do the work. The service is in high demand even when the economy is down, and it meets all of your key model criteria: franchisees will be able to build an equity business that is scalable, and achieve the lifestyle goals that they’ve set. Franchise owners will join a team of professionals who care about one another and who are passionate about their work. Owners will follow tried-and-true operating systems, keeping a watchful eye on customer service and managing multiple painting crews. This is a uniquely manageable business with ZERO or few employees, low overhead and minimal operating expenses. They’re sub-contractors, not full-time employees, but they’ll be fully insured. Plus, all the work carries a warranty. This really is a customer service business and truly is a different and better company with more opportunity than any other that you’ll find in the industry. The benefits of joining our Franchise team are many and include a flexible worksheet schedule; an all cash business with no receivables; no employees; quick ramp-up; and the resources, systems and support that our group of integrated home services franchises can provide. Management background, strong interpersonal and communication skills; the ability to connect with people. Energetic self-starter willing to dedicate full-time best efforts to the business. TRAINING PROGRAM: Our proprietary Right Start pre-opening training will get you up and running, and our operating systems and on-going support will accelerate your efforts to achieve your goals. As a franchise owner, we’ll crank up our Customer Acquisition Referrals and Sales—CARS—program to help you with local advertising and drive customers to your business, freeing you to focus on community networking, grass roots promotions and managing the business. You’ll also have our Sales and Technology Center answering your calls and setting your appointments. Our sales and service innovations are digitally connected to improve operational efficiencies and to enhance your business-building opportunities. A true home-based business, with modest initial investment and low overhead, that provides a rewarding lifestyle and financial security. Copyright © American Business Finders. All Rights Reserved. American Business Finders can help you buy or sell a business in Minnesota and throughout the Midwest. Working in Minneapolis - St. Paul, suburbs, and the greater metro area including St Cloud, Duluth, Rochester, Mankato and more.